Gordon Campbell Gray, chairman of CampbellGray Hotels, speaks to Anthony Manduca about his plans for the Phoenicia Hotel, which reopens in May. Gordon Campbell Gray describes the €15 million restoration programme of the Phoenicia Hotel as “a dream project”. “It’s a big restoration, we’re taking the hotel back to where we feel it ought to be. 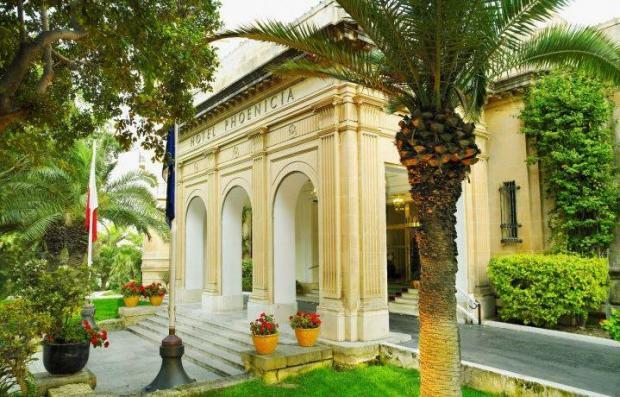 We think the Phoenicia should truly be the great hotel of Malta. One of our personal ambitions at CampbellGray Hotels was always to restore a grand old lady. We have done quite a number of hotels in unusual places, and it’s quite a challenge to do a traditional hotel,” he says. CampbellGray Hotels will be managing the hotel, which is going to be called The Phoenicia Malta, a CampbellGray Hotel. It is scheduled to open its doors to guests in early May. The restoration includes a complete refurbishment and upgrading of all 136 guest bedrooms and bathrooms, the creation of new rooftop sky suites, the addition of a new outdoor infinity pool with sweeping views of the harbour, a re-landscaping of the hotel’s grounds and terraces, the restoration of the Phoenicia’s classic façade, the refurbishment and upgrading of all of the hotel’s public spaces, the addition of a health club and spa, extensive refurbishment of the grand ballroom and investment in a new energy efficient plant. I would love to see one article ask: ‘Is this the most beautiful pool in the Mediterranean? “I’m very excited about it because it’s going to be beautiful,” he says with much pride, adding that CampbellGray Hotels have become a member of the Leading Hotels of the World which he describes as “like going to Oxford, it’s a standard you have to achieve”. CampbellGray Hotels manage a number of other hotels: Le Gray, Beirut and CampellGray Residencies, Amman; Le Gray, Amman is scheduled to open in early 2017 and The Machrie Hotel in Islay, Scotland, is currently under renovation and will reopen at the end of next year. Is there a common philosophy in running these hotels? 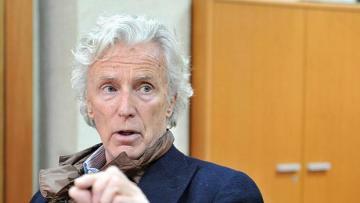 Mr Campbell Gray says he wants to give the Phoenicia a stronger international reputation and thus promote Malta in the process. consideration – history, food, travel, sun and art. We want to make the hotel really internationally famous and my goal is for everyone to have heard of the Phoenicia in Malta and to be curious to visit. “Mdina, for example, is one of the most amazing, magical places on earth, so we want people to love the hotel but also to say that Malta is amazing. He says that the Malta project already has a strong international press following and there will be an enormous amount of publicity for the hotel. “All the top writers, such as those of The Telegraph or the FT want to come down. I’m very excited because they are going to give a huge amount of coverage to Malta. A sense of inclusivity, he stresses, has always been a defining characteristic of CampbellGray. “I am very proud of creating a hotel that is a snob-free zone, where everyone is treated equally. It is the magic of what a hotel should be. The staff’s uniforms will be more relaxed. We want people to feel welcome whether they just want to have a cup of tea and a strawberry tart or a glass of wine. It’s almost a new form of luxury, totally accessible and affordable. I always tell the staff: it has to be fun, to work, to visit; let’s make it a great experience. He adds: “We want the menu to be fun. In Gordan’s Café in Beirut we have a menu that says, for example, ‘hot stuff’. We want it to be amusing, and to lighten it up and not too traditional. He says that at the moment the Phoenicia has a huge British following, especially a lot of older British visitors, and some also visit the hotel twice a year every year. The hotel is also very popular with business people. “I would like to maintain the guests we have, but bring in, subtly, new international guests, to make it a little bit more international, and maybe raise the bar a little bit, but not lose who’s already there, as we have a loyal clientele. I think people will want to continue coming to the hotel, we are not creating any shocks, we are just making it beautiful. We’re keen not to raise the prices, we want it to be accessible, affordable and busy. Mr Campbell Gray is well known for his passionate care for the environment. Will he set an example in Malta where the environment is a very hot issue? “We have always been market leaders in this area. I think it’s very sad that internationally when the economy started to dip everybody gave up on the environment. I think it’s fair to say that many of the international brands don’t have much credence in the environment and consider it merely a cost. I think it’s a matter of trust. We have always been very keen on organic food and we have built a reputation for our products in the bathroom being pure; people trust us. “I once stayed in a hotel where the water in the shower took about three minutes to turn hot and I watched all that water wasted; when I asked about it I was told it was the cheapest way. We will make sure such things don’t happen here. We will tell our guests that water is a serious issue in Malta. I hate excess and I hate wastage, and I love the concept of frugality. It might sound strange for a luxury hotel, but it can be done. For example, when your laundry is returned this should be done in minimal packaging,” he says. Mr Campbell Gray also stresses that if you want a successful business, love your staff – they are the secret weapon. “The staff at the Phoenicia are fantastic, many have been there for 20 years or more, and are totally embracing the change. We are a very friendly, warm company. The staff are excited, they want the Phoenicia to be fabulous again. There aren’t many places in the world where the workforce is so positive. “The Phoenicia is not worth a pile of beans if the staff are not fantastic and welcoming. My role is to make them say ‘Yes, I’m off to work’ when they wake up in the morning. Every decision we take in the day is in favour of the guest. He adds: “We are retaining the staff, which is very important, we are very non-corporate, we have standards, but we are very individual, and almost eccentric in our relationship with the staff.